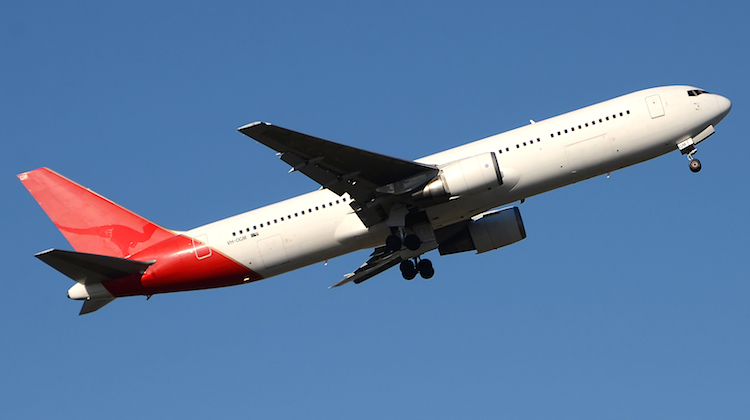 Two more retired Qantas Boeing 767-300ERs have headed to Alice Springs to be placed into storage. Without the flying kangaroo on the tail and any Qantas markings on the fuselage, VH-OGU departed Brisbane Airport in the early hours of Friday morning and landed at Alice Springs airport a little over two and a half hours later. Two days earlier, on January 7, VH-OGM left from Sydney for Alice Springs and the Asia Pacific Aircraft Storage facility located alongside the airport. The aircraft were among the five 767s operating on the type’s last day of passenger service with Qantas on December 27, with VH-OGO’s last revenue flight QF524 from Sydney to Brisbane and VH-OGM ending its career in Qantas colours as QF434 from Melbourne to Sydney. Sister ship VH-OGO remained at Brisbane Airport and was expected to depart some time next week. Where/what/who is the aircraft graveyard in Alice Springs? These aircraft fly into ASP? Site in Alice Springs is called Asia Pacific Aircraft Storage. Does Qantas pay for the aircraft to be held in storage until they find a new operator? Does anybody know what the proposal for the aircraft is? Great memories of many flights in these wonderful aircraft over the years with both Qantas and also in Ansett’s unique three flight crew B767s. It would be fascinating to know how many people the Qantas fleet of B767s have carried during their service life with the airline and the total miles/kilometres they have flown. Is anyone taking steps to ensure the retention and preservation of at least one of these jets in this country as an important example of our aviation history?? We should have a proper national aviation museum in Australia to showcase such aircraft and the rich history of aviation in Australia. Australian Aviation Magazine should use its position and contacts both in government circles and the aviation world here to push for such a museum to be established as a project of national importance. The reality is that we as a nation are not good at this compared to other countries and we are the poorer for it. Now here is a suggestion for the centrepiece exhibit: Qantas’ Boeing 747-400 VH -OJA City of Canberra which was the first commercial aircraft to fly nonstop from London to Sydney in August 1989. She is due to be retired by Qantas before too long. Are we going to let this important part of our aviation heritage slip away to join her sister B747s sitting in the Californian desert at Victorville awaiting their fate?? …… Or are we going to get on the front foot and do something to ensure OJA is preserved here for the people of this country to appreciate long into the future. Thanks for that. Well, it is a start I suppose, but nothing definite. In my view Canberra is the logical place to retire OJA to. She is called the “City of Canberra” after all. 1. It has an operational airport there that could handle the arrival of the Boeing 747 and equipment to move it around on the ground if necessary. 2. Canberra’s location is such that more people would be able to see OJA than if she were to be sent to Longreach in Queensland which is just too far away for most people. 3. The weather in Canberra can be very hot and very cold, but it is not coastal with all the corrosion issues that would inevitably result and impact on the airframe if OJA were to sit as a static display at the HARS facility at Albion Park near Wollongong. 4. Canberra is this country’s capital and as such should be the home of a new national aviation museum. Surely land can be sourced around Canberra’s airport for this. What is needed is a “can do” attitude. 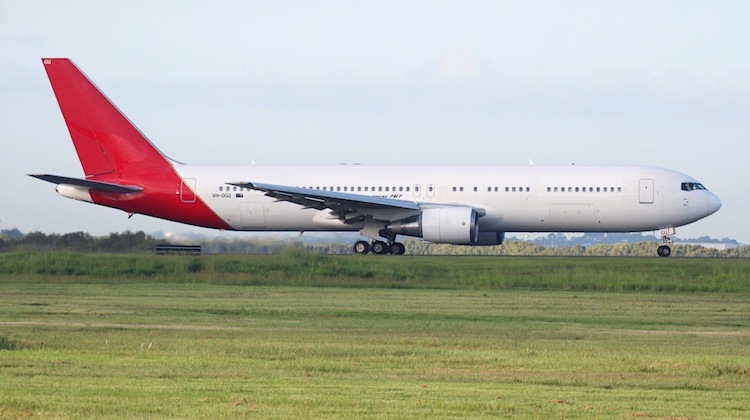 Then we can have a place where not only OJA can be seen and admired, but also an example of one of the Boeing 767s that Qantas has retired to the Alice Springs storage facility. It could and should be the start of something we Australians would all be very proud of. I thought the ex-Qantas 767s were going to WestJet.